Sometimes writing a blogpost is somewhat akin to peeling an onion! I began writing this post during the afternoon of May 15. And as each layer of this particular onion exposed another (thereby delaying the publication of this post! ), I did not know whether to laugh at the chutzpah – or cry about the sheer manipulative legislated lunacies being promoted by the oh-so-dedicated (or perhaps not) green-agenda activists and advocates – not to mention the hysterical … ooops … sorry, “historic” election of one of their histrionic own to the provincial legislature – in British Columbia. Much ado was made last week of the super-scary milestone that the dreaded evil Carbon Dioxide (CO2) had reached 400 parts per million – which means that there are only 999,600 other parts per million that we might need to worry about. So, this number, 400 parts per million, what does it mean? It’s the number of molecules of CO2 for every million molecules of air; 400 of them are now CO2. Just two centuries ago, that number was only 280 parts per million. So if we continue to add carbon to the atmosphere at current rates, we’ll reach a doubling of the pre-industrial levels of CO2 within the next few decades. OMG this does sound very ominous, doesn’t it?! Perhaps I need to rethink my attitude towards reducing my “carbon footprint”. But help may be on the way – or maybe not! A confluence of interests … Perfectly designed to line Al Gore’s pockets! The whole kit and kaboodle (including a handy-dandy fridge magnet [not shown]) was free! Well, sort of. If I want to replace that “small food waste bag” (lined with “cellulose” which looks like – but isn’t – “plastic”) I can do this … At a cost of $5.49 for 10 (although I’d get $1.00 off the first ten, thanks to the generosity of the Help the Earth Help Itself folks at “Bag to Earth“). The helpful and enthusiastic young lady from Waste Management told me that these receptacles cost approx. $25.00 – $30.001 each (but they were “donated”). However, she didn’t know the cost of the Bigger bins into which I must dutifully place my small food waste bag approx. every four days. As I subsequently discovered, these Bigger bins have been placed in the ground level garage – an open invitation to rodents and scavengers if ever there was one! At the end of our conversation, the young lady from Waste Management thanked me for engaging in respectful, constructive and helpful dialogue – and for not having thrown the mini-bin receptacle at her, as others had done, elsewhere! The agreement with Harvest Power complements Waste Management’s comprehensive waste services in the areas of recycling, landfill, waste-to-energy and consulting services. This investment will also help move Waste Management toward meeting three of its sustainability goals: doubling its renewable energy production and tripling the amount of recyclables processed by 2020, and investing in emerging technologies for managing waste. The plan is that the Bigger bins will be emptied by Waste Management and delivered … not to a landfill, perish the thought … but to Waste Management’s “partner” (as noted above), a US company called Harvest™ Power of We™, or Harvest Power for short, with a local (albeit, at times, a somewhat unpleasantly odoriferous) presence. Not that the nice young lady from Waste Management told me any of this, but Google is my friend. And when I asked about Harvest Power’s involvement, she confirmed it! One of Harvest Power’s “largest investors” is a company called Generation Investment Management LLP (GIM), “an independent, private, owner-managed partnership established in 2004 with offices in London, New York and Sydney”. GIM rang a somewhat familiar bell; and, sure enough, when I followed the link I found that the (unprincipled) principals of GIM were none other than hypocrite-extraordinaire, Al Gore and his buddy, David Blood4 who, these days, are flogging a concept called “Sustainable Capitalism” – which may (or may not) be synonymous with Stewart Elgie‘s (almost all) Canadian “Sustainable Prosperity“. Although Generation seeks to provide superior investment performance, potential investors should be aware that this is an aspiration and there is no guarantee that this goal will be obtained. So, reasonably certain that Harvest Power was not taking on this challenge of processing “organic waste” out of the goodness of its heart, I began to wonder about the chain of events and/or pronouncements that might have led to finding myself carefully separating “approved” food scraps from other waste … in order to line Al Gore’s pockets! I started my search in BC’s 2007 150+ page “Climate Action Plan” – a document whose authors, as I’ve previously noted included Greenpeace propaganda peddler and Intergovernmental Panel on Climate Change (IPCC) Lead Author, Andrew <we are the vote> Weaver! Waste disposal accounts for about 5 per cent of B.C.’s GHG emissions. Most is from municipal landfills. The remainder comes from wood residue landfills, mostly run by forestry companies. Excuse me?! A piddling five per cent?! For which a supposedly “proven” technological “solution” already “exists“?! Tell me again – while I may have some choice now, by 2015 I most certainly will not2 – why I shall be forced to separate my “approved” food scraps (the accumulation of which, in this counter-space hogging receptacle, may well create unpleasant odours in my kitchen) in order to line Waste Management’s, Harvest Power’s and Al Gore’s pockets! As a leading jurisdiction on climate action, the Province has a legislated target to reduce greenhouse gas emissions by 33% by 2020 and achieve an 80% reduction by 2050 (from 2007 levels). 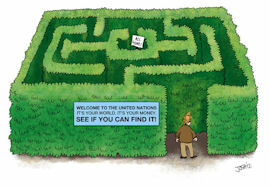 The Climate Action Secretariat works with ministries and other jurisdictions to develop policies to support this goal. Through the suite of LiveSmart BC programs, British Columbians can demonstrate leadership addressing climate change as well. I cannot possibly imagine how – or why – these municipal representatives might have arrived at the conclusion that there is a “scientific consensus” – or that “evidence of global warming is unequivocal”. But perhaps someone decided to adapt a recipe from this “cookbook“. Alternatively, as they did with the “Climate Action Plan”, perhaps the bureaucrats and green dreamers who drafted this “Charter” simply lifted the phrasing from that Nobel Peace Prize award-winning body, the IPCC’s 4th Assessment Report – and dropped it into this “Charter”. How very, well, convenient, eh?! (5) (a) (i) being carbon neutral in respect of their operations by 2012, recognizing that solid waste facilities regulated under the Environmental Management Act are not included in operations for the purposes of this Charter. YMMV, but to my eyes and ears this looks and sounds like an awful lot of green-agenda driven interference and conformity – under the rather deceptive guise of environmental do-goodery! Excuse me?!! I’m supposed to “reduce my carbon footprint” by doing my part to divert “organic food waste” from ending up in a landfill (which amounts to a mere 5% of our greenhouse gas emissions – for which there supposedly already exists a “proven” process for dealing with the methane gas created) to comply with a future environmental regulation [pls. see footnotes below] that results in the “creation” of … the dreaded – and constantly demonized – Carbon Dioxide … all the while lining the pockets of Waste Management, Harvest Power and Al Gore! Now, don’t get me wrong! I am not opposed to composting – or to those who choose to do so. Hell, some of my best friends are avid composters! But I do think there’s something rather off-key – if not inherently sour – about far too many of the notes3 in this Big Green choru$ and $ymphony. Don’t you?! 1 During a conversation with the primary contact person responsible for recycling efforts in the municipality in which I reside, I learned that the cost of these receptacles is closer to $5.00 to $10.00 each. This person also disclosed that the number of multi-family dwellings in this (relatively small) municipality in the Greater Vancouver Area is 20,500. So even at his lowest estimated cost, that’s $102,500 – for one small municipality. And on the matter of other costs that will be incurred by this initiative, this person could not disclose the cost of processing by Harvest Power. However he did say that it is less than 50% of that which is currently paid for landfill treatment ($107.00 per ton). Well, there’s an incentive if ever there was one, eh?! Although I do wonder how long this very attractive price might last [see footnote 3 below]. There will be an increase in the bill to owners for collecting this organic waste: $1.60 per unit per month. According to my calculations that’s $393,600 per year from the multi-family dwellings in this small municipality alone – much of which, one might reasonably surmise, will end up in the pockets of Waste Management, Harvest Power and Al Gore. Will we see an increase in 2015, if not before? Who knows, eh?! When I surmised that much is being decided by the green dreamers in the Big City of Vancouver, and made a comment to the effect of “whatever Vancouver politicos want, the rest of us get”, this contact person did not disagree. 2 During this same conversation, this contact person advised me that if I don’t like their receptacle, I could use something else – and that my participation, while hoped for and preferred, is entirely voluntary. However, when I pointed out that somewhere along the way, my research had led me to conclude that by 2015, my participation will not be optional, he did not dispute this. It all has something to with the provincial Ministry of the Environment’s “landfill” regulations, with which all municipalities are required to comply, but over which no municipality has any control. Small wonder, then, that (5) (a) (i) was included in the wording of the “not intended to be legally binding” Climate Action Charter. Perhaps the province of British Columbia has a “green police” force in the planning works! Waste to Energy projects have dominated the waste management category of KPMG’s latest global infrastructure report. Here’s a look at the report in more detail and an insight into what caught the judge’s eye about the winning projects. Harvest Power’s Energy Garden in Richmond, outside of Vancouver, is Canada’s first high-efficiency system for producing renewable energy from food scraps and yard trimmings. The project uses a number of different funding sources including a $4 million grant from Natural Resources Canada (NR-Can) and will process more than 27,000 tonnes each year. The BC Bioenergy Network (BCBN), a provincially funded, not for profit organisation supporting the acceleration of bioenergy development in British Columbia, has provided $1.5 million funding to Fraser Richmond Soil and Fibre – a Harvest Power company. The funding supports two components: a $1 million loan towards the commercial demonstration of a High Solids Anaerobic Digestion (HSAD) plant that will convert municipal green waste (food scraps and yard trimmings) to produce electricity under the BC Hydro Community Based Biomass Power Call. Secondly is a $500,000 grant towards acquiring a pilot scale mobile HSAD testing unit – a ‘Mobile Energy Harvester’ – that will be used initially in Richmond and later toured throughout North America. The biogas produced by the facility will be used to produce more than 6000 MWh of electricity per year, enough to power around 700 homes. The residual organic materials remaining after the digestion process will be further composted and returned to local farms and gardens as nutrient rich soil amendments. So that’s $5,500,000 of taxpayer funding in Harvest Power’s (and its investors’) pockets. Some might wonder if these generous grants and loans are designed to “incentivize” participation by municipalities (such as the one in which I reside) by enabling Harvest Power to offer such an attractive price for processing “organic waste” – at least until 2015. But I couldn’t possibly comment. 4 GIM’s David Blood (aka David Wayland Blood, former CEO of Goldman-Sachs) in addition to being “Co-Founder, Senior Partner, and Managing Partner” of GIM, is evidently a Director of … Harvest Power (and The Nature Conservancy, amongst others), according to Bloomberg’s Business Week’s database. Gore is listed as “Co-Founder, Partner, and Chairman”. Interestingly, none of the above is found on the GIM website. Some might find this to be considerably less than transparent. But I oouldn’t possibly comment. What stunning information on many levels,not the least of which is that in this case B.C. isn’t even buying “local”. Great research Hilary. Great to see you commenting here, btw! 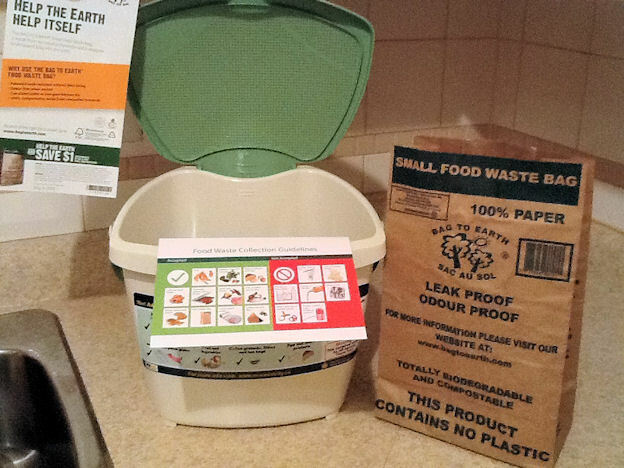 Food-waste receptacles (plastic “caddies”) are being distributed to homes and workplaces in the UK as well; we’ve received a few from our local council. Your excellent and (as always) thorough investigation of BC’s waste management has revealed a whiff of something somewhat more pungent than kitchen scraps! I haven’t done the same due diligence yet, over here, but since we’re now basically a province in the EU empire (synonymous for bureaucracy in the name of all things green) it wouldn’t be too surprising to lift the lid on similar goings-on. We have two large composters in our back garden, fortunately, so our kitchen waste can go directly to where it can do some good, rather than create a stink in the house. As for those plastic receptacles, I find they are very handy – for storing road salt to scatter on the ice in our driveway, when we have “rare and exciting” (but all too frequent, of late) snowfall events. You see, my recollection of my early childhood years in the U.K. (Birmingham and Llanelly) is that we very rarely had any snow – although I knew that there were other parts of the country that did..
Then, again, perhaps my memory just ain’t what it used to be! And perhaps my recollection is somewhat coloured by the fact that when we emigrated, we landed in Sault Ste. Marie … where winters are very, very cold … and one gets lots and lots of the white stuff, as one does in other cities in which I resided before I relocated to the Best Coast! I think a lot depends on the exact part of the country and the time frame. My childhood memories are from Norwich in the 1970s, and we seemed to have quite a lot of heavy snowfalls. From the mid-1980s to the early ’90s I was out of the country, then came to live in London in 1992. West London is of course part of a massive UHI – the Heathrow area was baking during the famous heatwave of August 2003 – and for many years we seemed to have very few periods when snow settled for any length of time. However, they do appear to have become more frequent (and longer in duration) over the last few winters.. In NZ, the methane from compost comes under our ETS, therefore there is a disincentive to put green waste in the council recycling. There are some major flaws in the logic behind all this anyway. methane from rotting vegetation and also from ruminant animals is part of the natural carbon cycle. methane break down into CO2 and water after about 10 years, from whence it came in the first place. Everyone uses the 21 figure for GWP but this seems to be based on one study only, referenced in IPCC literature, and is based on some rather esoteric calculations that have little to do with physical reality. Very interesting! All of which goes to show that consistency of “the science” has never been a strong point amongst the green dreamers, has it?! The climate is more and more firmly, as the gigayears progress, under the control of the biosphere. Even the high cloud cover and beyond is home to countless bacteria. If conditions turn untoward, a little ramp-up of this, and ramp-down of that, and things are restored to rights. Not because of the all-knowning Gaia, but because that’s how negative feedback, especially magnified and leveraged by opportunistic microbes et al., works. As a BC resident, too, I despise contributing to the enrichment of his Al-Hole and the Whacked Weaver. But I have great faith that their presumptions and postulates will result in them shooting off their own or each others’ feet soon enough. The Law of Inconvenient (but Logical) Consequences will assure that. Vide CCX. Reality is not kind to attempts to put fake hanging chads into the data box. I see they are infesting Aus via Sydney as well.